Home The Frisco - A Look Back at the Saint Louis-San Francisco Railway Beautiful Ozarks scenery showing a river running through hills. Beautiful Ozarks scenery showing a river running through hills. 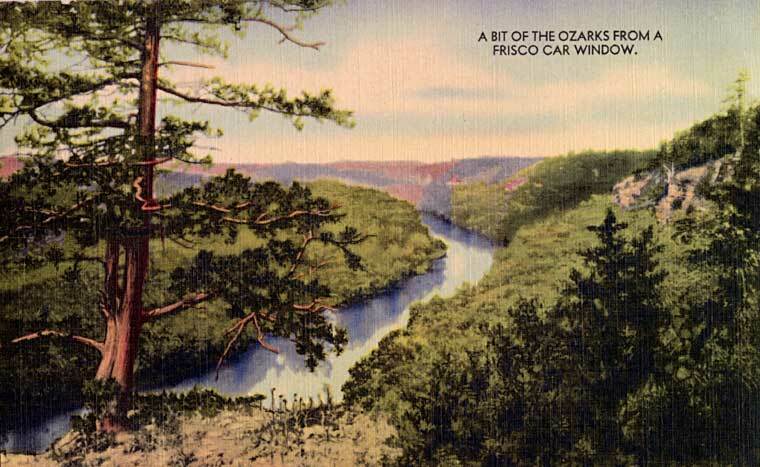 Title Beautiful Ozarks scenery showing a river running through hills. Title.Alternative A Bit of the Ozarks From a Frisco Car Window. Creator M.W.M. Color-Litho, Mid-West Map Co., Aurora, Mo.